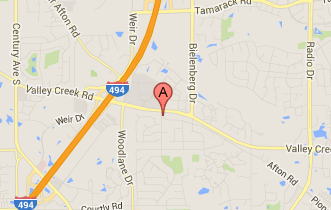 With a large mobile fleet and more than 20 years in the business, Auto Glass Express happily serves Woodbury. We will service your windshield, at home, work, or where ever it may be! Call us today and we will take care of your auto glass while you go about your normal day. We can come to your car in Woodbury with our mobile windshield service. At Auto Glass Express, we're committed to providing our customers with quality service and we're proud to be rated an BBB A+ company by the Better Business Bureau. We also hold the prestigious AGRSS certification from the Auto Glass Safety Council and we're approved by all major insurance carriers. If you live in Woodbury and are in need some auto glass services, get in touch with us today by clicking the button below or calling 612-379-9193.